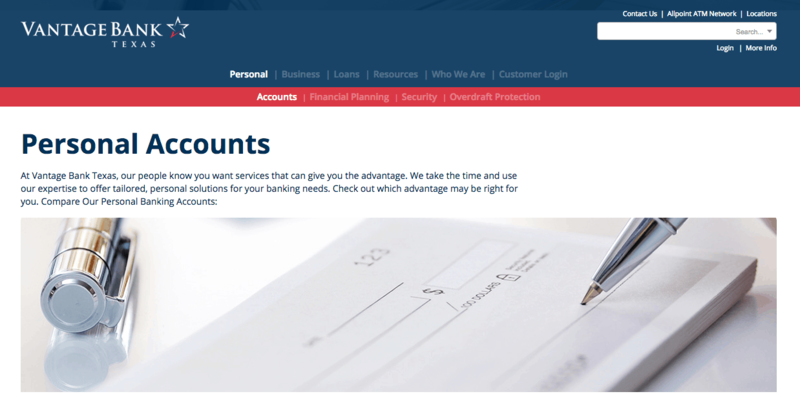 Formerly San Antonio National Bank, Vantage Bank Texas requested an updated online presence for their new identity. They needed to showcase the core financial services they provide to their clients, as well as numerous online banking resources. The easy-to-navigate but visually appealing website makes it simple to find what you are looking for, and the client portal allows customers to access their banking information in a highly secure online platform. In addition to designing and developing their website, VND also managed the search engine optimization (SEO) of the new site, which included claiming and managing all of the company’s physical locations on Google Maps. 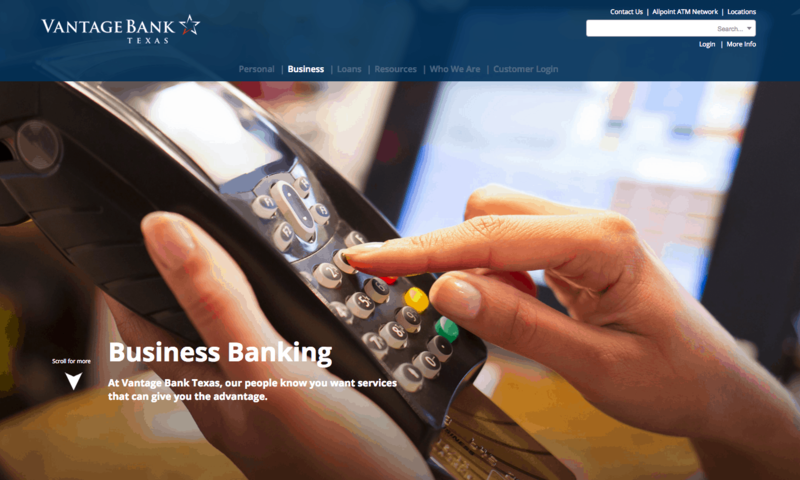 A mobile optimized, visually pristine banking website and a first place ranking on Google search results.